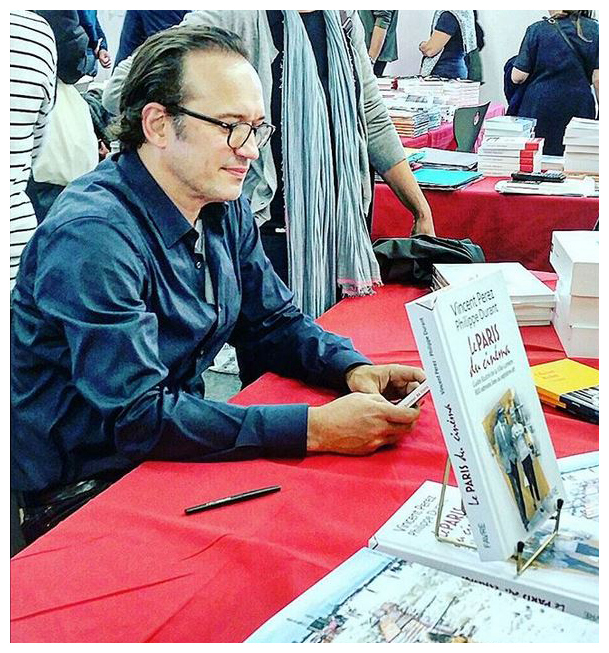 This photo was taken last fall when Vincent did a book signing for two of his books - the more recent "Un Voyage en Russie" and "Le Paris du Cinéma" published in 2011. Here are some excerpts from an interview with Vincent back in May. Q: Is it not hard to see yourself on screen at 26 years old when you're now 53? VP: On the contrary, I still feel young and, at the same time, I am much more constructed, less delivered by chance. I direct, I make photo projects and so many other things that fascinate me. When I was a young actor, I tended to ride the wave, letting myself be carried along with the proposals. Today, it's me who creates the waves. Q: You do not even regret your young handsome years when you shot a lot in Hollywood for example? VP: No regrets. I had a lot of fascinating encounters when I shot in American productions. At the same time, let's be honest, I did not really make great movies in those years. The most positive thing is that even today I work almost more abroad than in French cinema. At the time, I managed to make a name for myself internationally. Q: You shot recently in Australia, Canada, you were in Russia for a photo project ... not to mention Lausanne. How do you organize? VP: I have an exceptional woman (Karine). Last year, I went around the world four times for my work and it was way too much. Fortunately, I can count on my wife because it is never easy for us to travel together because of the school year and everyone's activities. 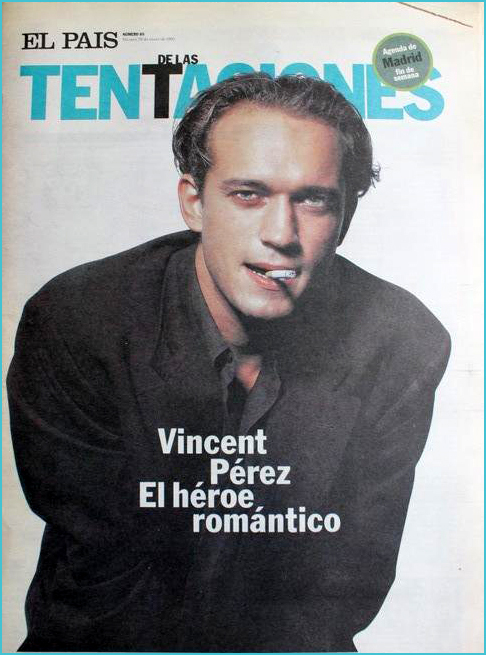 Q: What kind of father is Vincent Perez? VP: I am a cool dad but strict at the level of education. I have always taught our children to take their future into their own hands, especially in school work. I'm lucky because each of my children has a real passion, which makes my role of father much simpler because they do not need me to motivate them. Q: Your eldest 19-year-old daughter, Iman, follows in your footsteps in acting, but she is also a model. Do you try to avoid the traps of fashion or celebrity? VP: My daughter is so structured in her head that she deserves all our trust. Beyond fashion, Iman is mostly a rider. 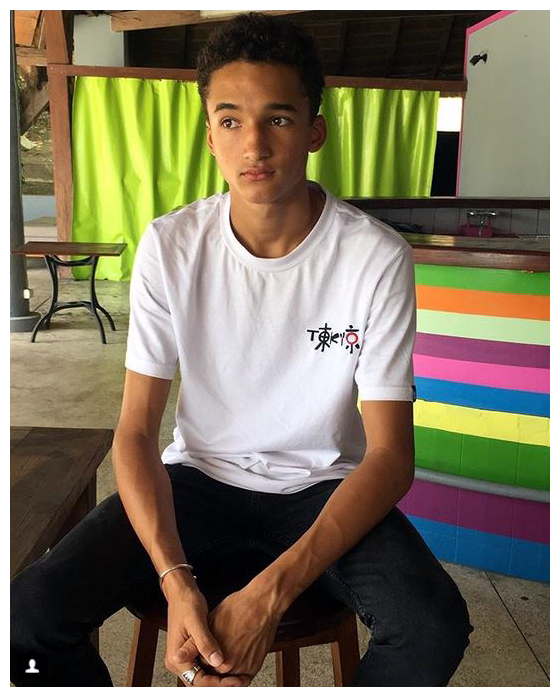 Q: You have 15-year-old twins, a girl, Tess, and a boy, Pablo. Will they be artists? VP: No, my son wants to become a professional basketball player and he is going to enter the Putnam Science Academy this year, which is the largest basketball school in the United States. He leaves us. It will be hard for him and very hard for us to have him so far, but he knows what he wants and my role is to support him. Q: And your daughter Tess? VP: Tess is the one closest to us. Her passion is singing. VP: I'm going to China soon to make a third film ("Turnadot") with Sophie Marceau. My look and my current beard is for the purposes of this feature film... Sophie is a friend and a dream partner. She is still beautiful and our duo works well. 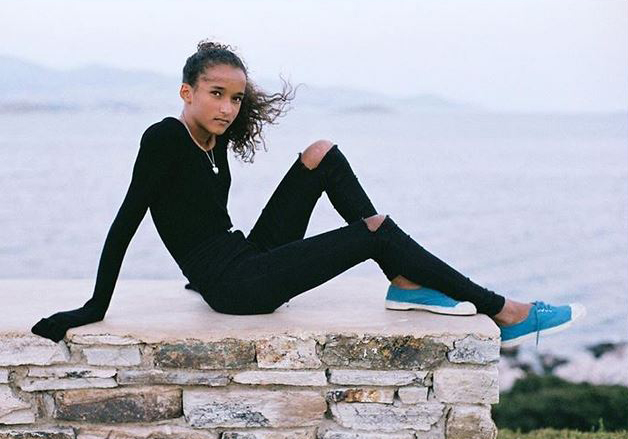 I have updated Iman's model page so check out all her new photo shoots. For the third year in a row, Vincent has sat on the jury for the annual VR Arles Festival. This past week a short interview was posted during the festival. Q: You are a faithful member of the VR Arles Festival. In what way does the event seduce you? VP: It is true that I am a little part of the furniture! But it fascinates me to see developments in the field of virtual reality, to observe in what direction it goes. It opens the mind to other possibilities so it interests me, quite simply. Q: We associate you with classic cinema. What future do you predict for this movie format? VP: We are at the beginning of the genre and the field of possibilities is widening. It's like the very beginning of cinema: there is still a whole world that will open, it will become more democratic. Soon, anyone will be able to buy a headset, plug in their phone and see a report broadcast by a newscast in total immersion. With virtual reality, we can find ourselves in the middle of a village bombed in Syria. There is this feeling of being there, this feeling of teleportation that makes us more easily aware of other realities than ours. Q: Would you like to work on a virtual reality film as an actor or director? VP: Yes, I am absolutely not closed on it. I think about it, but you have to leave that to the professionals of the genre. Q: Beyond the festival, what attracts you to Arles? VP: I'm also a photographer, so it's wonderful to be here right in the middle of my passion. And the city is nice, the people are nice, there is a very cool side that I like very much. Whether it's Forum Square or wherever, wherever you go, you feel good here. I am always very happy to come back to Arles. Happy Birthday to Vincent's wife Karine who turns 53 today! 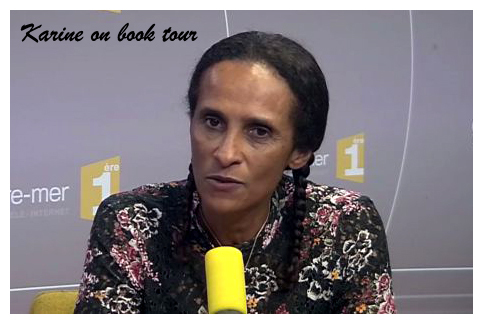 Born from a Breton mother and a Senegalese father, Karine Anne Silla was born in Dakar. 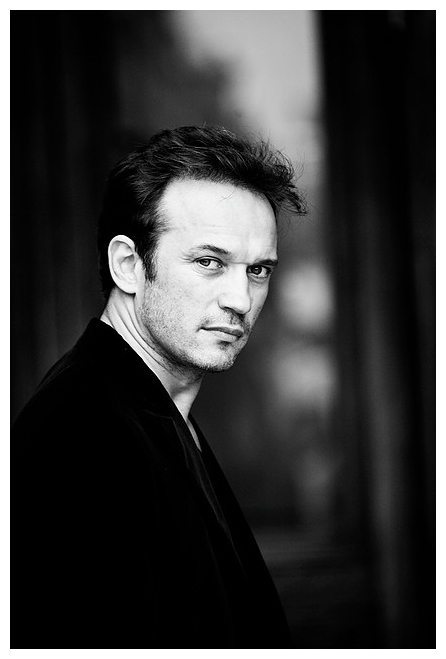 Here are a couple pictures by photographer Jean-Marie Marion. They're undated but I would guess they were taken at least ten years ago. 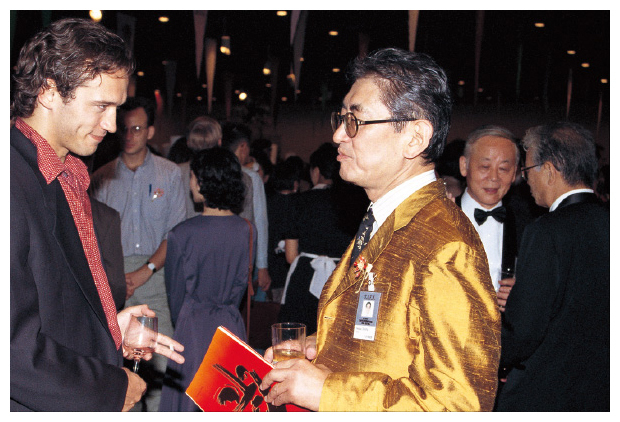 Because 2017 marked the 60th anniversary of the establishment of diplomatic relations between Ireland and Japan, a program of cultural, political and sporting events were planned. On October 14, THE PRICE OF DESIRE was screened at Bunkamura Cinema in Tokyo. 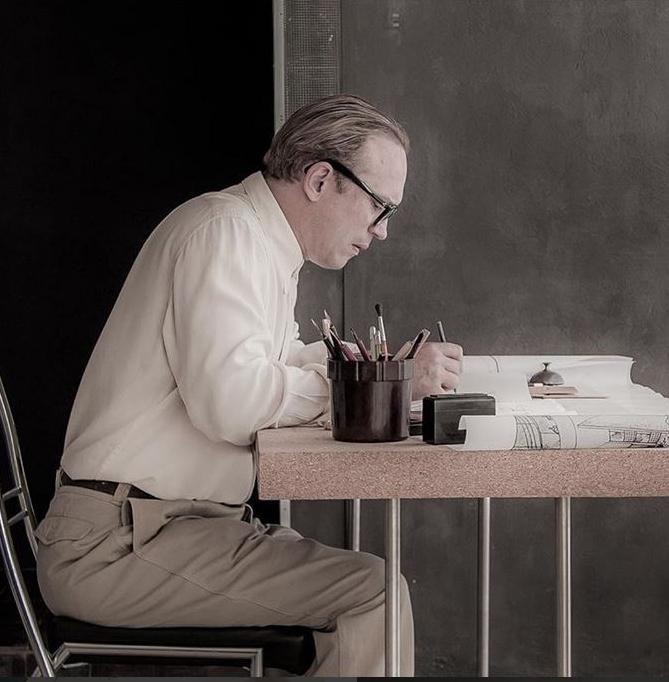 The film recounts the complex relationship between the Swiss architect Le Corbusier, one of the pioneers of modern architecture (played by Vincent) and the Irish architect and furniture designer, Eileen Gray. I've posted some of the Japanese posters and new photos that were used to publicize the film. 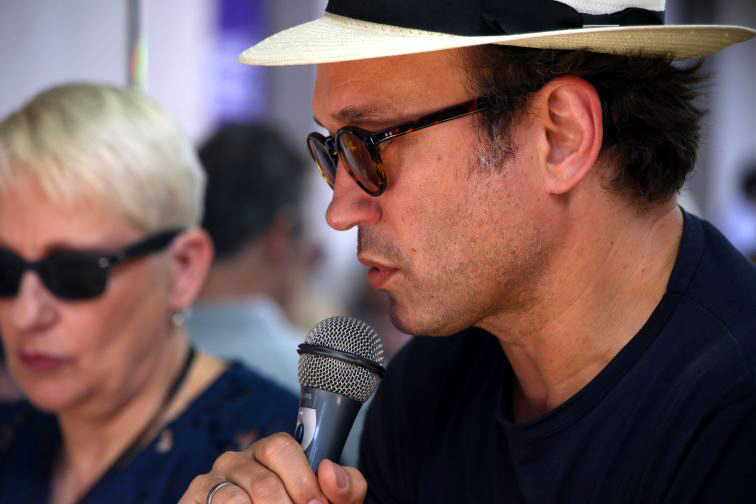 Last week Vincent's wife Karine participated in the Cabourg Film Festival as a jury member. The first two photos show her with daughter Tess on the red carpet during the closing ceremony on June 16. Another family member has come to my attention recently. I had no knowledge of Alexiane Silla until this week. 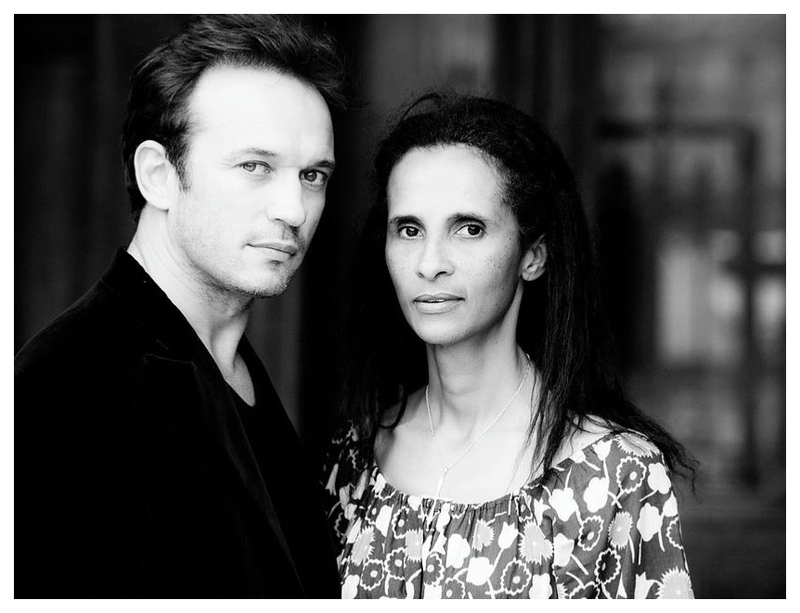 Karine's Franco-Senegalese brother fathered her in 1992. Her mother is white, the daughter of a Canadian diplomat. Alexiane is a singer-musician and last year one of her songs made it to the soundtrack of uncle Luc Besson's film "Valerian". She spent her childhood in Dakar and has lived in Quebec since she was 9. 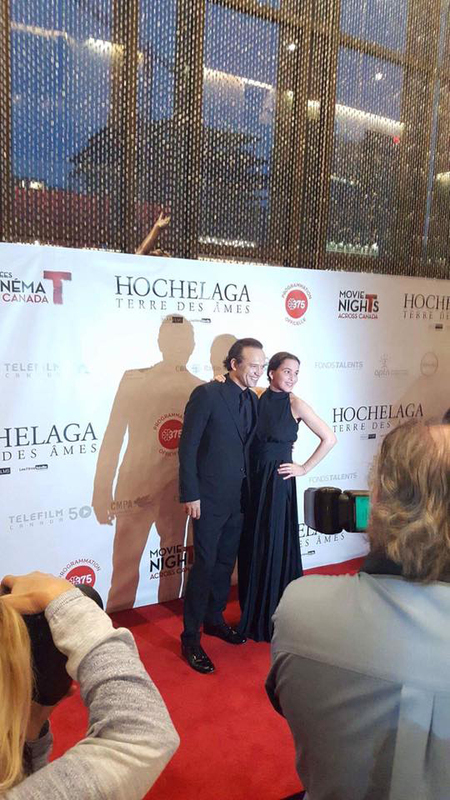 These photos show her and her mother at the Montreal premiere of "Hochelaga" in September. Following two highly successful previous events, the VR Arles Festival returns to Couvent Saint-Césaire in Arles between July 2 and August 26 for its third year. The festival aims to bring virtual reality cinema, documentary film and artistic creation into the spotlight. 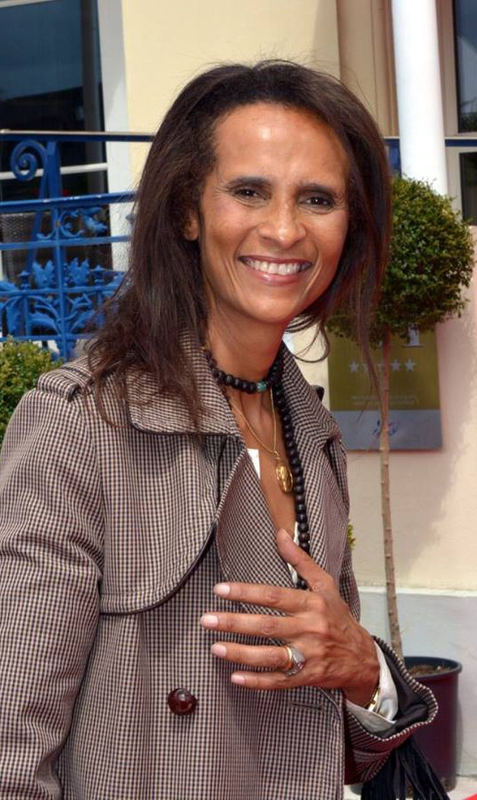 The opening week from July 2-8 will be devoted to a competition judged by a jury presided over by Actress Marie Gillain. 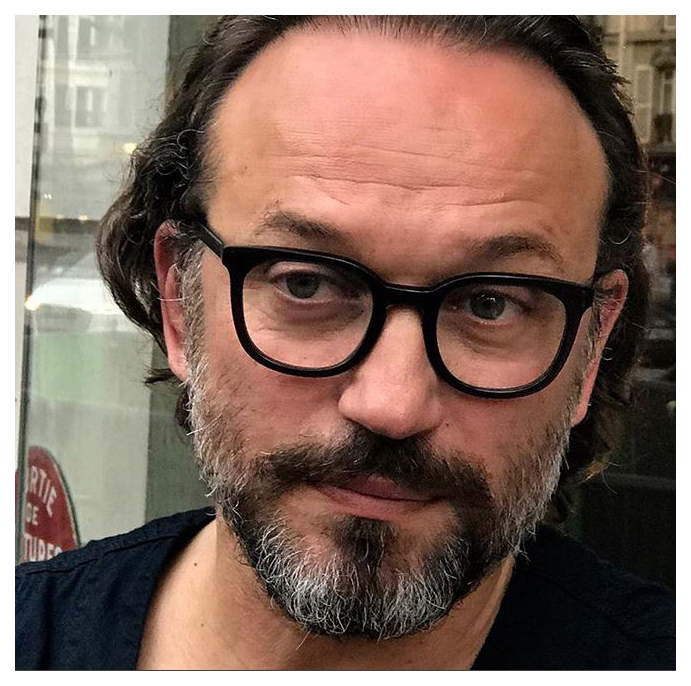 Sitting on the jury will be Vincent joined by Charlotte Abramow, Christopher Miles, Christophe Ono-dit-Bio, Marie Guillaumont and James Thierrée. 17 films will compete in four categories. From November 8 to 12, 2018, Paris Salon de la Photo will be back at the Parc des Expositions in Porte de Versailles. This year Vincent has the honor to host the ceremony. The fair features most of the biggest brands of the picture world with over 180 brands represented. For five days, they reveal their novelties as well as their originalities. The Salon de la Photo will also award two photographers with the ZOOM du Public award and ZOOM de la Presse Photo award. 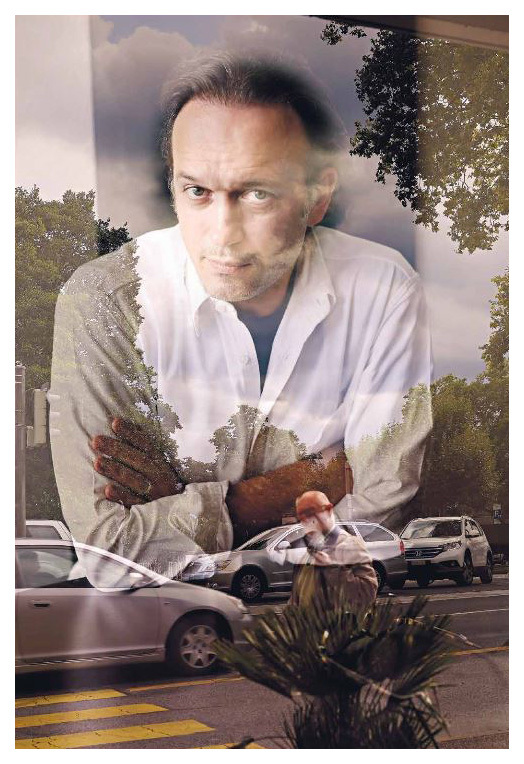 Blast from the Past: I've never seen this photo which was featured in a 1995 edition of El Pais. How do you like the cigarette? Smoking is such a nasty habit. The article describes Vincent as "The Great European Seducer". 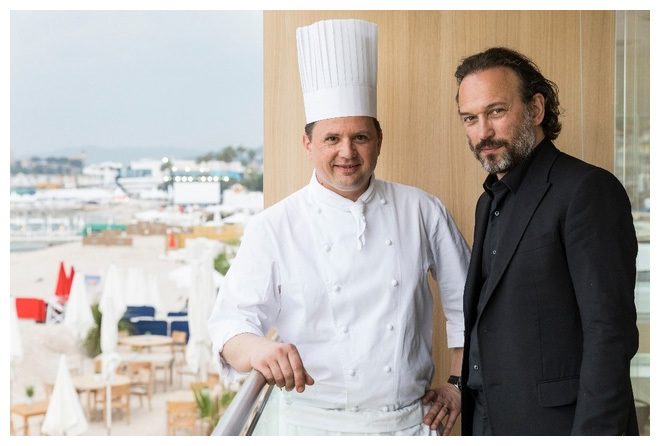 The caption reads, "To Vincent Perez, love scenes seem simpler than drinking a cup of coffee. This actor displays a catalog of seductive tricks in Queen Margot. In Tentaciones, the magazine that is offered with EL PAÍS, he bares his feelings and confesses his difficult co-existence with beauty.